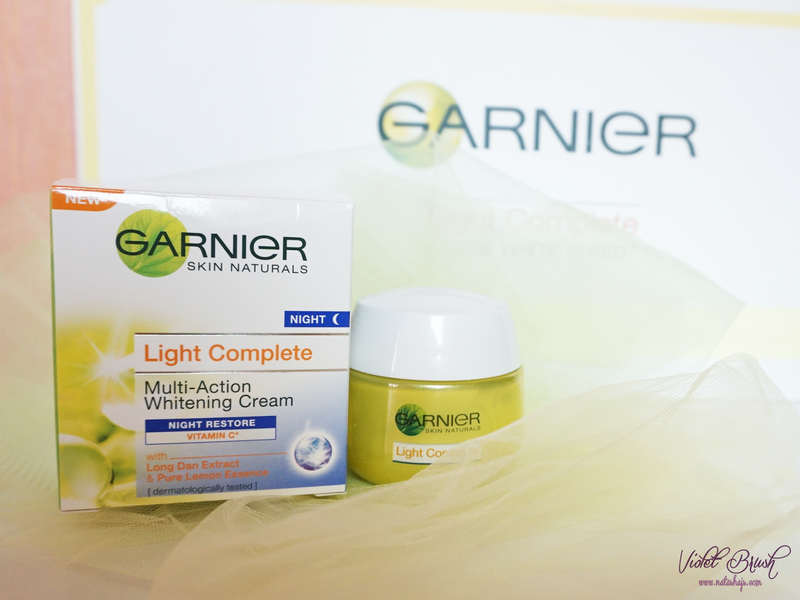 Discover the new Garnier Light Complete 12 Hour Shine-Free Serum Cream. 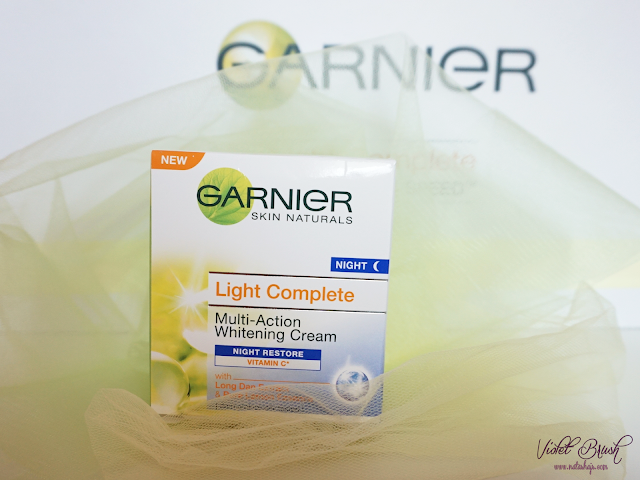 Now with WhiteSpeed Serum, its ultra-light formula absorbs quickly into the skin layers, so it works fast. Suitable for Asian skin. 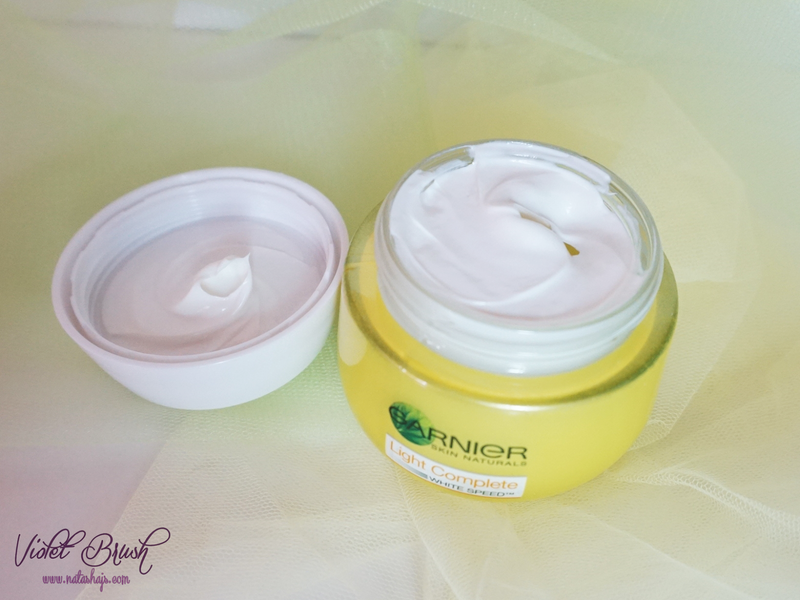 To use: spread evenly on perfectly cleansed face and neck, avoid delicate eyes area. In terms of packaging, Garnier's Light Complete White Speed Multi-Action Whitening Serum Cream came in a tube. 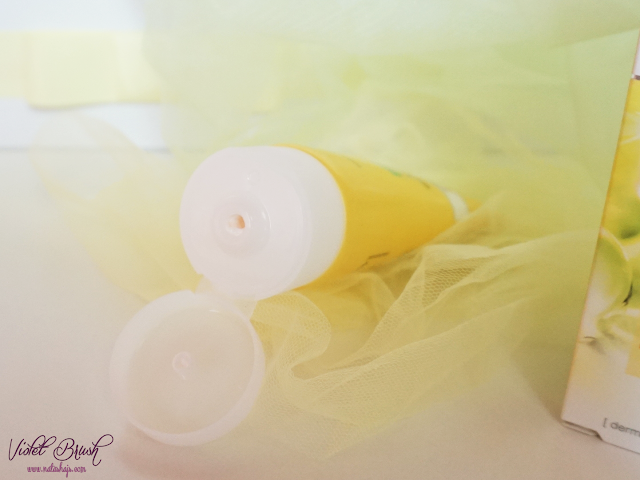 Two lacking points are the opening of the tube is too big so that I have to be a little more careful in squeezing out the product and the opening of the tube wasn't sealed (even though the box was sealed with plastic, it would be much better if the tube's opening is sealed too). However, since it's packed in a tube, you don't really have to worry about the hygiene of this product. 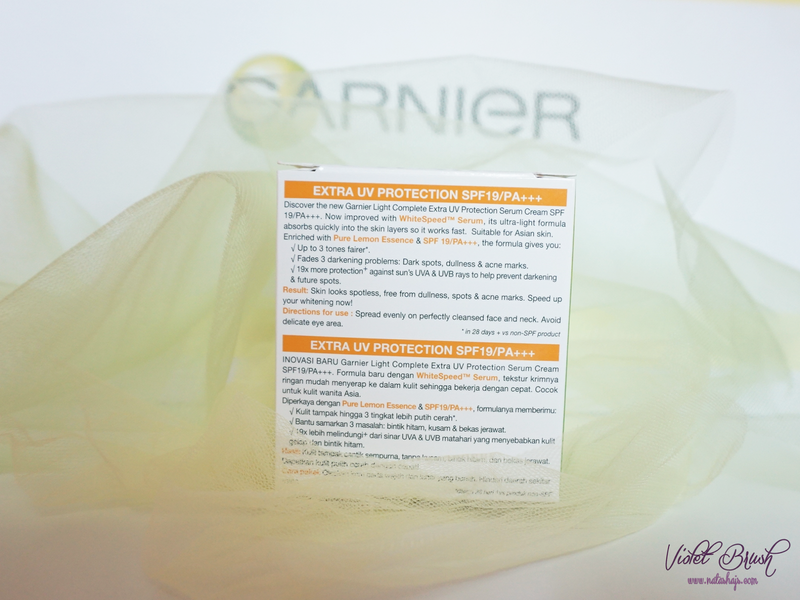 Discover the new Garnier Light Complete Extra UV Protection Serum Cream SPF 19/PA+++. 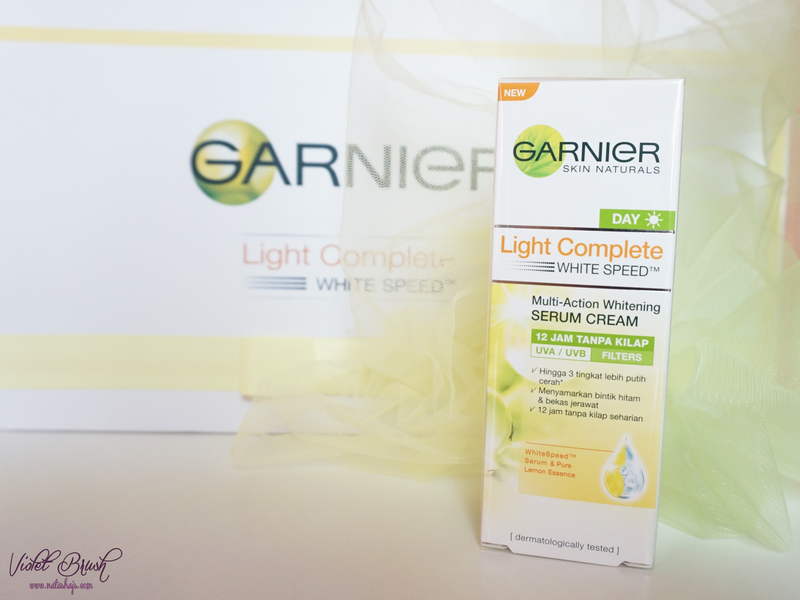 Now with WhiteSpeed Serum, its ultra-light formula absorbs quickly into the skin layers, so it works fast. Suitable for Asian skin. 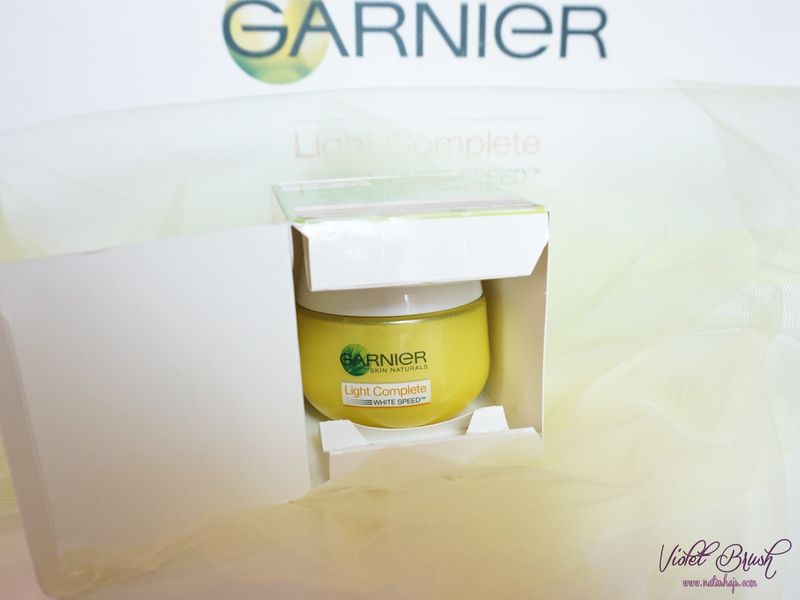 The box packaging is quite unusual since you will have to open the box from the top but you'll find the jar placed like this. Frankly speaking, I'm pretty much disappointed with its packaging. 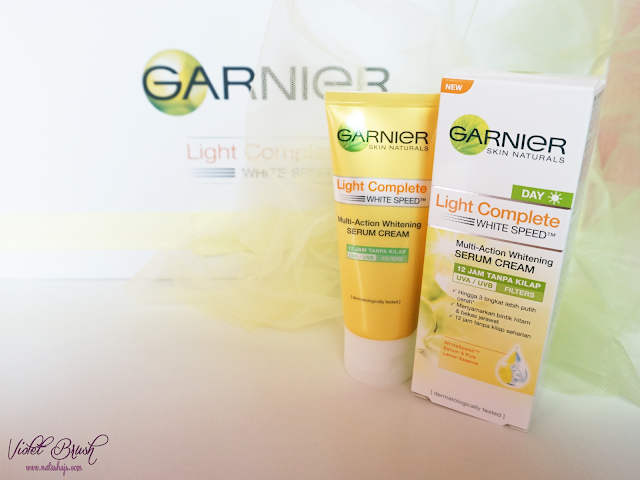 Garnier's Light Complete White Speed Multi-Action Whitening Serum Cream with SPF 19/PA+++ came in a jar made from glass without any separator and spatula. Hence, I need to be very careful when opening the jar and pay extra attention to the product's hygiene. It's true that because of the jar was made from glass, it's sturdy. However, it's quite heavy making it less travel-friendly. 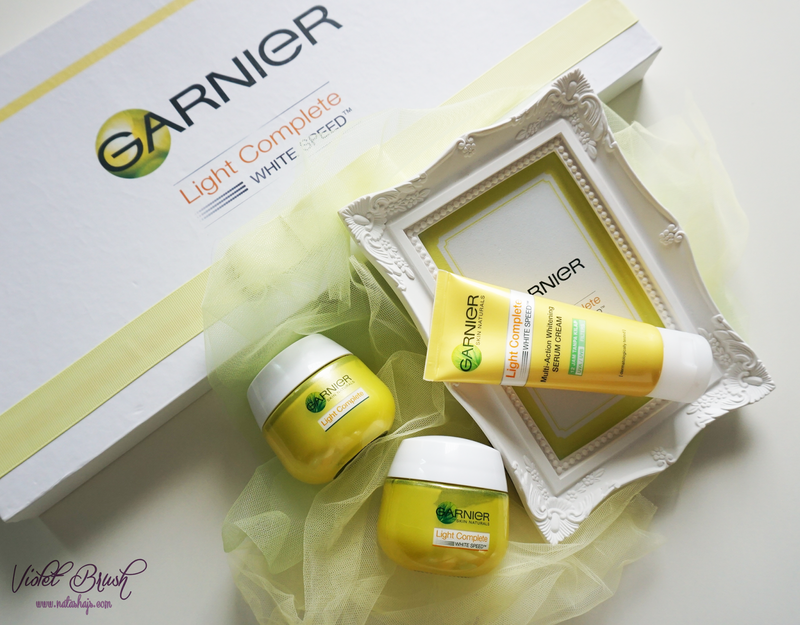 Discover New Garnier Light Complete Night Restore Cream, the new complete whitening nigh cream from Garnier with potent ingredients from natural origin. Wake up for flawless fair skin. 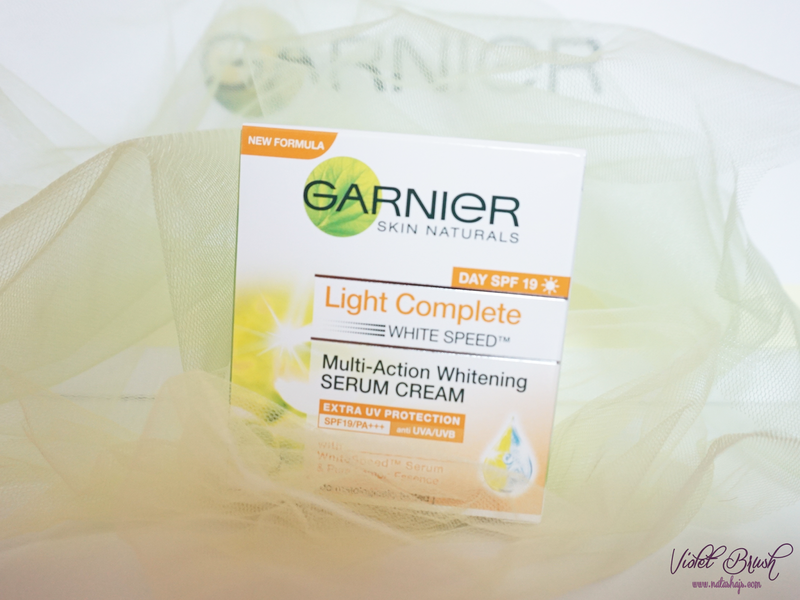 Packaging-wise, Garnier's Light Complete White Speed Multi-Action Whitening Night Restore Cream basically has the exact same packaging with the New Formula Serum Cream with SPF which disappoints me on the same aspects; no separator, no spatula, and not travel-friendly. But of course, it's pretty much sturdy too. 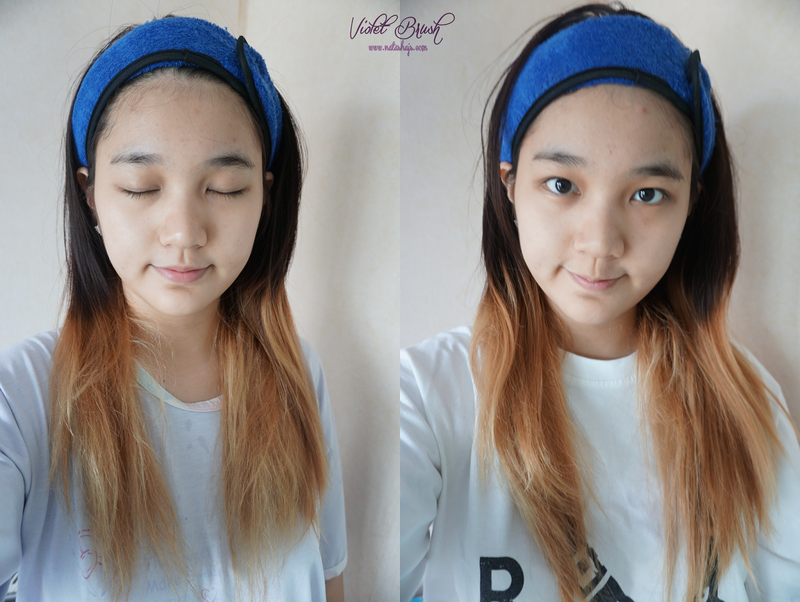 The first impression I had when I squeezed out the product was it looked like whipped cream. 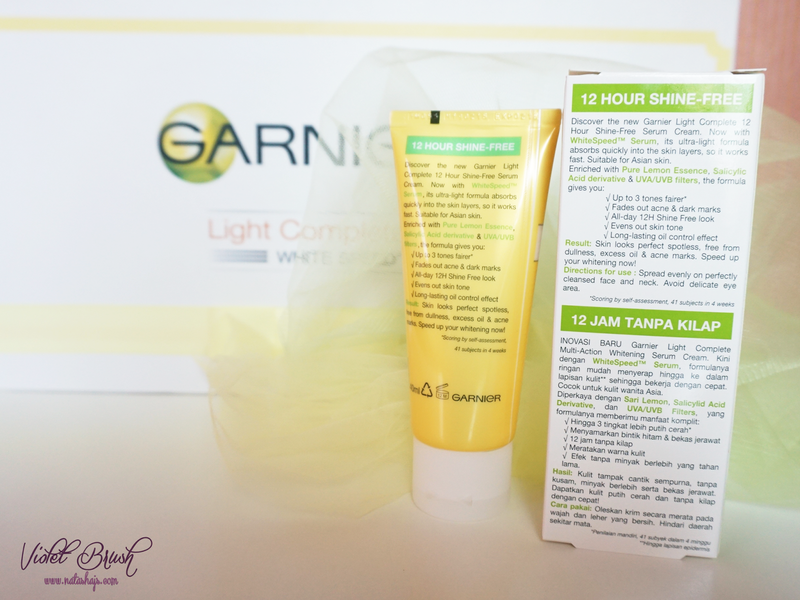 Texture-wise, Garnier's Light Complete White Speed Multi-Action Whitening Serum Cream is quite sticky when applied to my face, slightly thicker than the New Formula Serum Cream with SPF 19 and the Night Restore Cream. Although I could say that this absorbs into the skin fast, it still feels quite sticky on the skin. 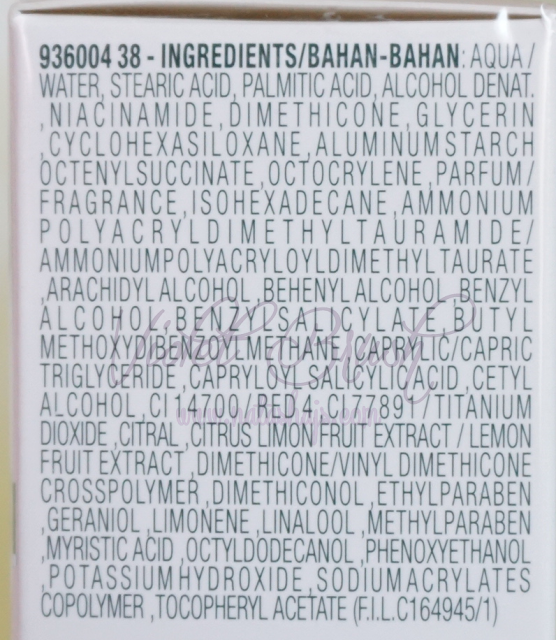 Talking about the scent, it has lemon scent combined with slight musky (?) scent which I don't really like. Speaking of the texture, Garnier's Light Complete White Speed Multi-Action Whitening Serum Cream with SPF 19/PA+++ 's is lighter and less sticky than the Serum Cream. It does absorb fast too. It has strong lemon scent which again, I don't really like. 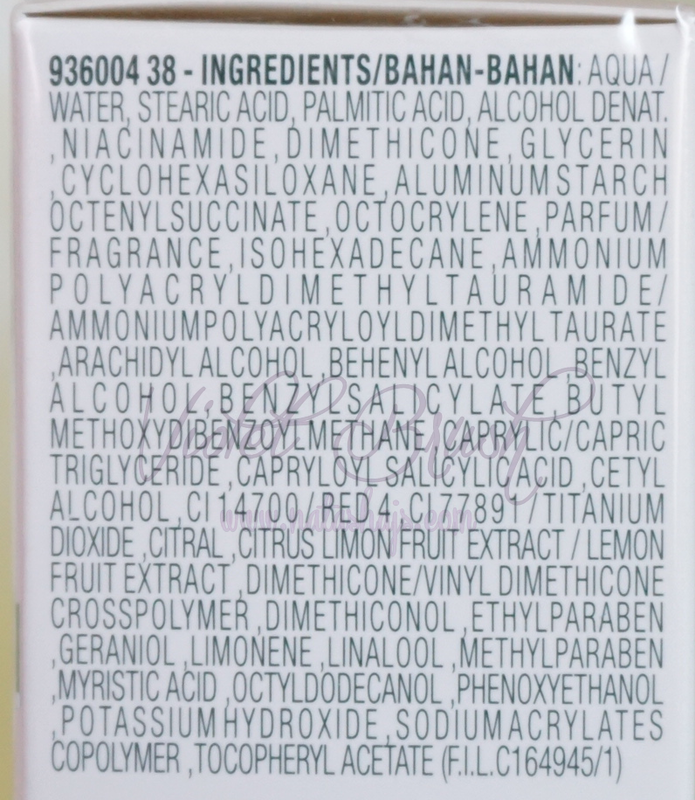 But I do still prefer this scent over the Serum Cream's scent. 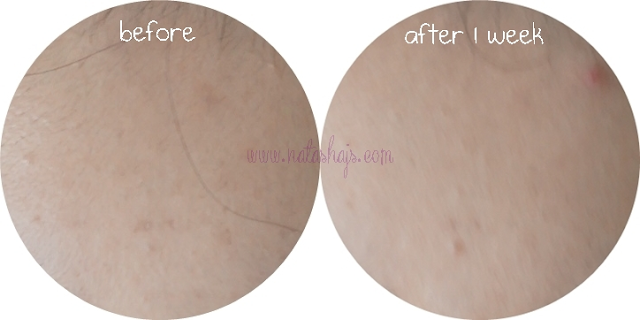 Regarding the formula, I would say that SPF 19 is not enough for Indonesians who live in a humid and tropical country. Why is it not formulated with at least SPF 30, instead? It's inefficient with SPF 19 since I still have to apply another layer of sunblock when I'm going out. 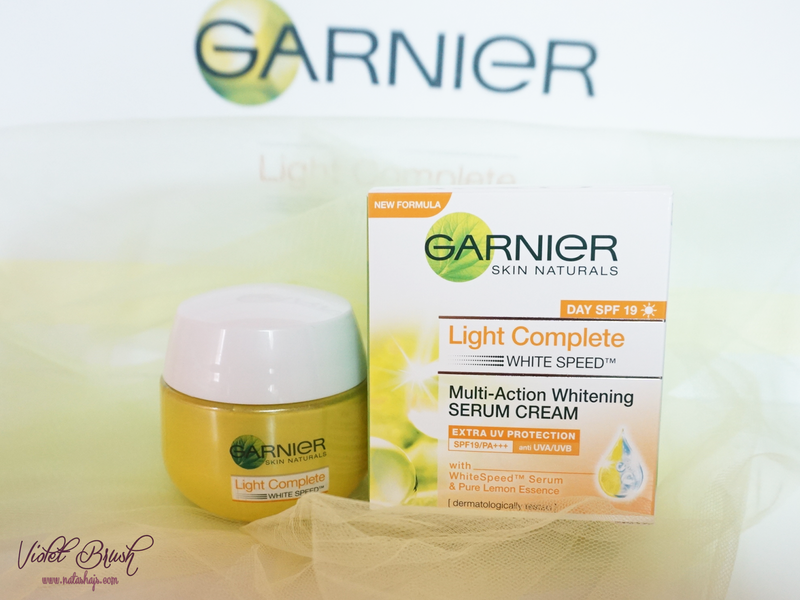 Compared to the Serum Cream and New Formula Serum Cream with SPF, Garnier's Light Complete White Speed Multi-Action Whitening Night Restore Cream has the lightest formula. It absorbs to skin very fast and moisturize my skin well. With fresh lemon scent, I love the scent of Garnier's Light Complete White Speed Multi-Action Whitening Night Restore Cream the most. After 1 week of using the entire series, I could feel that my acne scars on my forehead faded. As you can see on the photo above, my skin got brighter than before, although I can't say that my skin tone got fairer since I think my skin tone is fair enough. 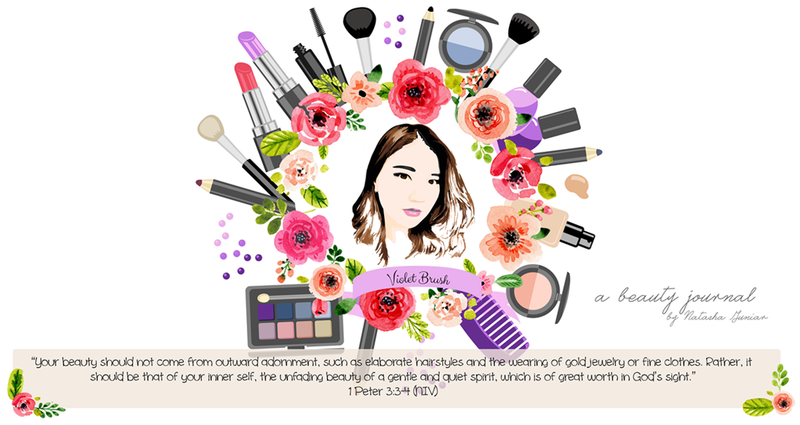 However on the beginning of usage, it triggered acne on my skin, some on my forehead, and some on the cheeks which had gotten better after a few days. Perhaps. it's because of the New Formula Serum Cream with SPF contains silica (I've searched for it and it's safe for cosmetics) that clogs my pores, thus triggers acne. New Formula Serum Cream with SPF? No. 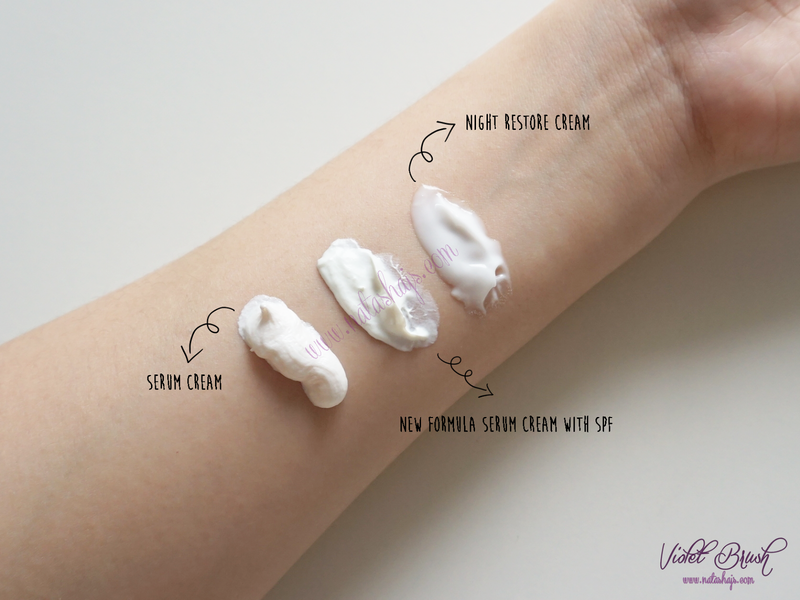 Although I don't really think the Serum Cream and New Formula Serum Cream with SPF are suitable for my skin, the Night Restore Cream suit my skin very well and also, either it texture-wise or scent-wise, I love Night Restore Cream the most. Can we only use one of the products? 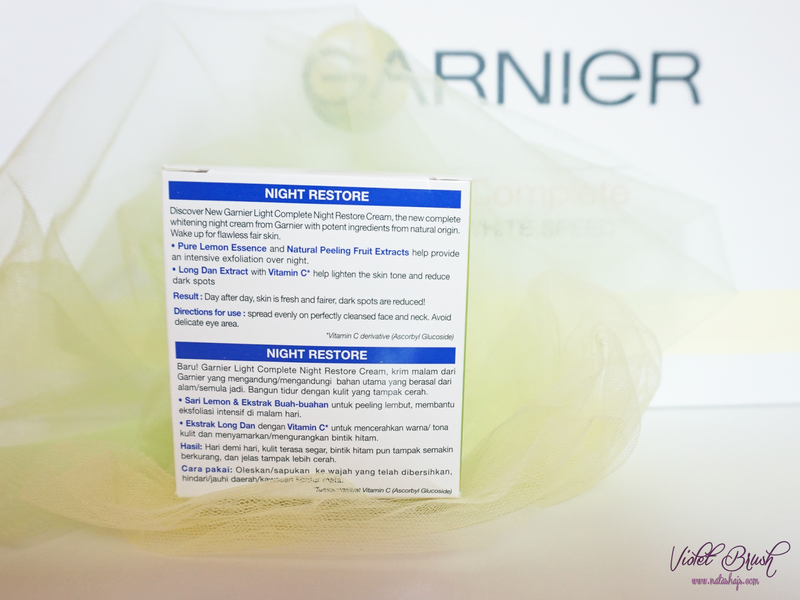 i'm only interested in Night Restorr cream .. Is it okay? 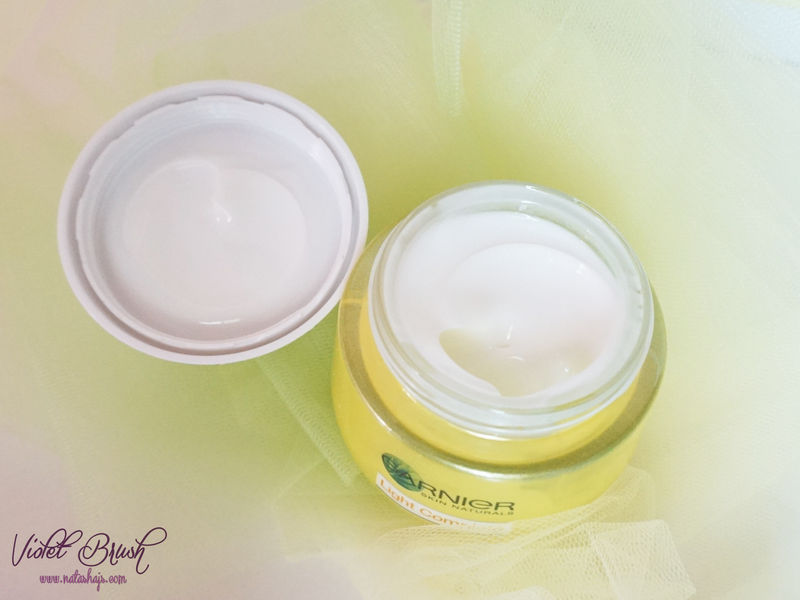 Is the night restore cream suitable for oily skin? I bought this but can i use it even at night?